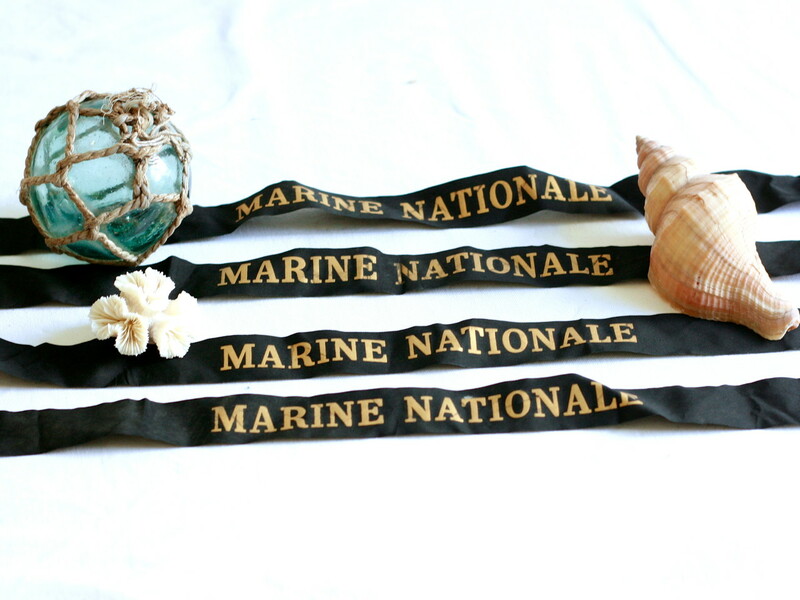 These are original French Navy issue cap ribbons. 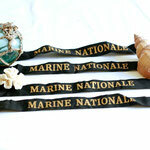 These were given to a guest who was invited to dine on board a French Navy Ship. Old ribbons in virtually new condition as they were never used. Would look great apart o a vignette or framed. There are a few available. FREE SHIPPING within Australia. Please get in contact if else where.